Split ends are generally caused by damage to the hair follicle. 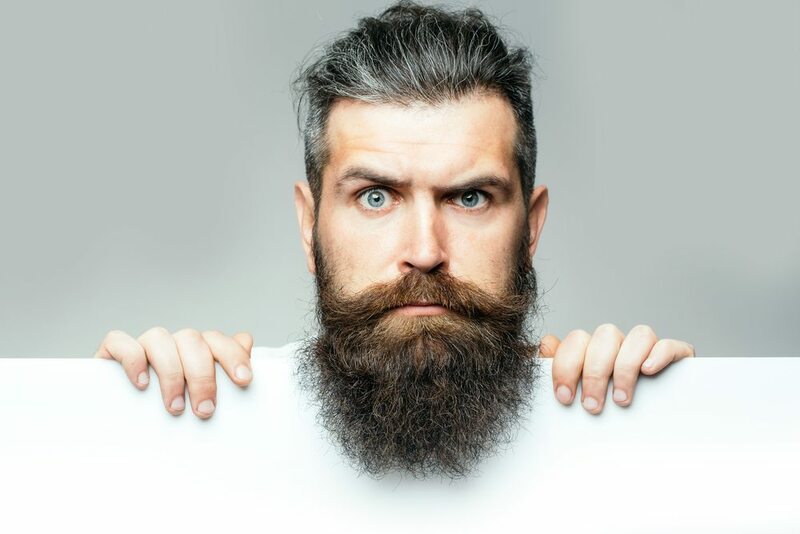 Damage over very long periods of time is perfectly natural, which is why you should always trim the ends of your beard occasionally, even if you prefer a long beard. There are things you can do, however, to prolong the development of split ends; a lot of it simply comes down to proper beard maintenance. Use only beard shampoo to keep your beard nice and clean. Beard shampoos contains the proper pH for beard health while avoiding ingredients that are harsh for beard hair follicles. This will provide a good foundation to prevent split ends. Follow up with beard conditioner. Again, only use beard-specific conditioner. Remember, conditioner not only softens your beard, it protects the scales of your hair’s cuticles from abrasion, which reduces the chance of split ends. Our Coconut Oil not only restores health to your hair, it has a ton of unconventional DIY uses too. Use this product as a stimulating massage oil, lip balm, shave gel, makeup remover, nail strengthener or even to add extra skin rejuvenation into a warm bath. Go for a moisturizer that can be used for both beard and face. Guys forget that when we sweat, sometimes our facial moisturizer can migrate into our beard, and if it contains ingredients that are unfriendly toward beards, then it can damage your beard and make the split end problem worse. When in doubt, choose a natural non-greasy moisturizer that can be used on both beard and face, like InstaNatural’s Fractionated Coconut Oil, which only has one ingredient: fractionated coconut oil. The good thing about coconut oil is it doesn’t really cause zits and clogged pores the way heavier oils do, which is why you can use it on your face as well as your beard. Dedicated beard oils are great for preventing split ends too. Go for a well-known brand that uses only high-quality ingredients, like Honest Amish does in their Classic Beard Oil. Beard balms are another great way to protect your beard from damage. The beeswax and shea butter in Grave Before Shave’s Bay Rum Beard Balm provide excellent protection from split ends while also making your beard easier to manage and style.